In randomly exciting news, I’ve been invited to participate in a two day Tour & Workshop about how to develop promotions for the Tomioka area, home of the Silk Mill, a newly minted UNESCO World Heritage Site. There’s only 8 people on the tour, and the others are University Professors and members of committees with fancy acronyms, so I’m honored to be included. It’ll be my first time visiting the sites in Tomioka, and I’m really looking forward to it, as well as to discussing how best to promote Gunma’s first World Heritage Site! This entry was posted in Art, Gunma, Japan and tagged Art, お富ちゃん, シルキー, cute, Gunma, I painted this, illustration, Japan, Japanese, marketing, my art, painting, promotion, silk mill, silk worm, silky, tomioka, unesco, world heritage, world heritage site, yurukyara, 富岡, 富岡製糸場. Bookmark the permalink. 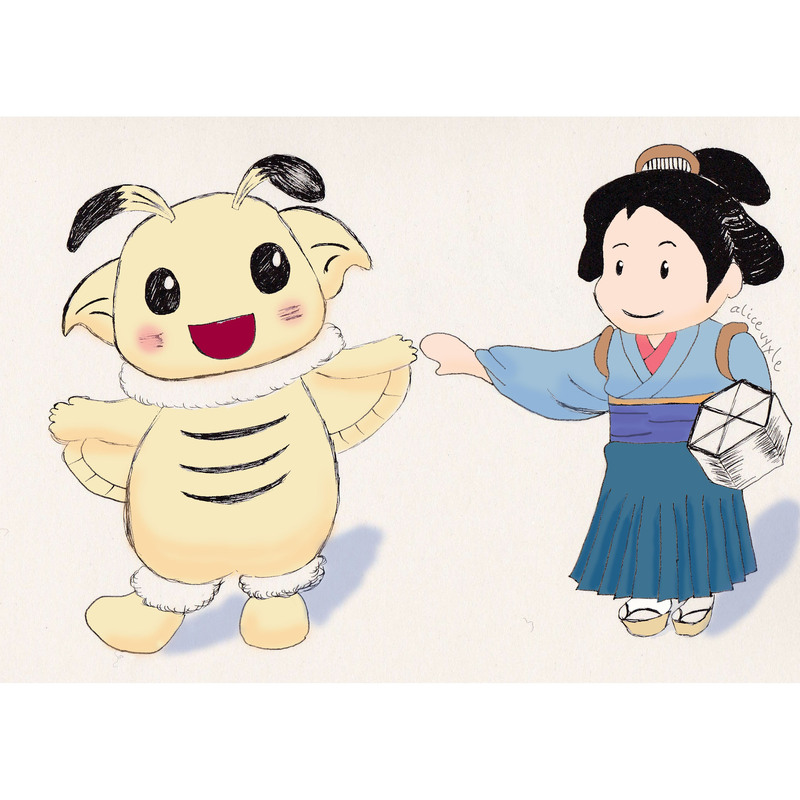 1 Response to Today’s Art: Tomioka Silk Mill Mascots!